We tend to think of progress as an entirely desirable state of affairs when in reality it has just as much potential to lead to our extinction as it does to utopia. 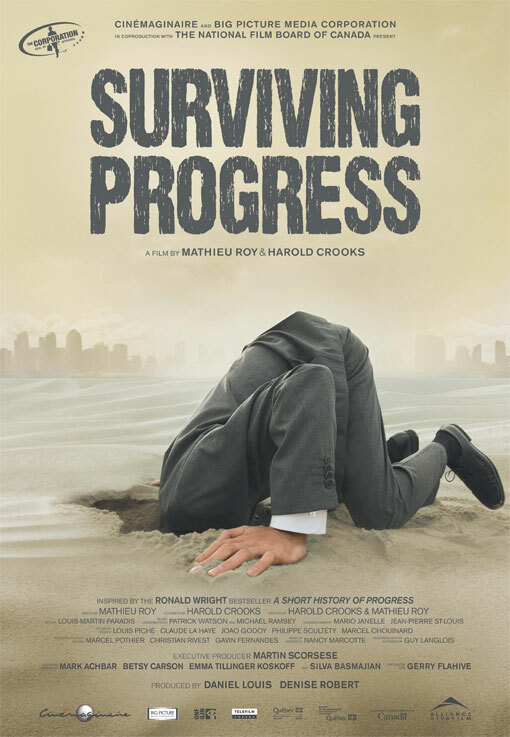 That's the central idea explored in the documentary film SURVIVING PROGRESS, based to some degree on Ronald Wright's book and lecture series A Short History of Progress. Wright uses the term “progress traps” to describe those practices which seem beneficial in the short term and when kept on a small enough scale, but which can lead to unintended negative consequences over time as they become more widespread. 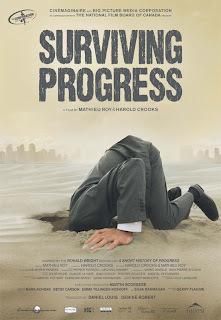 Through interviews with Wright and other luminaries, SURVIVING PROGRESS attempts to show some of the progress traps modern society is stuck in and the dire consequences that await if we don't turn things around. It's not all doom and gloom, though. Some of the interview subjects strike a note of cautious optimism, even offering some potential solutions to the problems we face. Unfortunately, most of the solutions involve things like reducing the population, abandoning problematic technologies, more equitable distribution of resources, and learning to accept that we don't need to keep acquiring crap. Whether such notions could even be entertained in the present United States political climate where a sizable number of our "leaders" don't even accept the basic tenants of science is another story, though. So yes, this is another “take your medicine” kind of documentary. That said, anyone with a reasonable amount of intellectual curiosity and concern for the future should find SURVIVING PROGRESS an interesting view that offers plenty of food for thought to chew on after leaving the theater. There's enough footage of various external locations to keep the parade of talking heads from getting too monotonous, but visually the film gets the job done and little more. That's certainly no reason to pass it up, but since I'm reviewing the movie as a whole and not just its good intentions or the quality of the information it has to impart, it does bear mentioning. 3 out of 4 stars.